A rusty patched bumble bee collects pollen from a flower in Madison, Wis. The U.S. 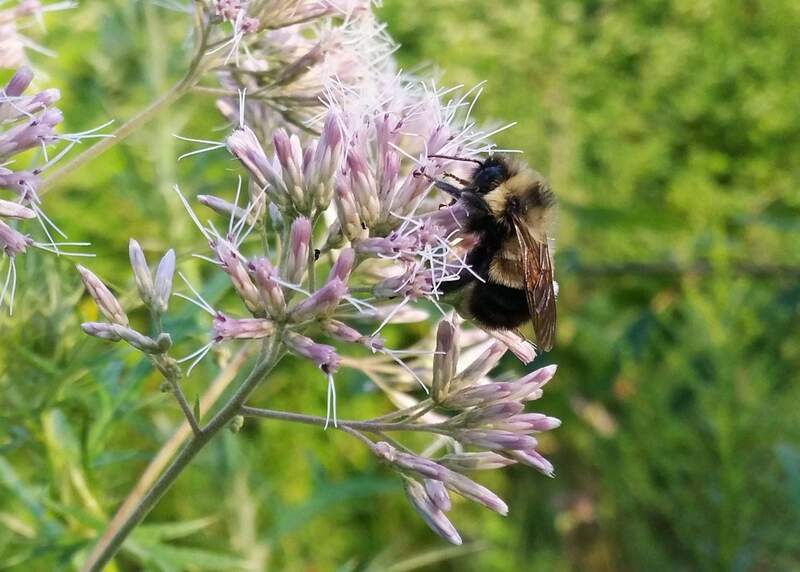 Fish and Wildlife Service has formally recommended this bumble bee for endangered status after reviewing reports from the Portland, Ore.-based Xerces Society that show the species has disappeared from about 90 percent of its historic range in the past 20 years. PORTLAND, Ore. – Federal wildlife officials on Thursday made a formal recommendation to list the rusty patched bumble bee as an endangered species because it has disappeared from about 90 percent of its historic range in just the past two decades. Seven species of yellow faced bee in Hawaii were proposed for listing by the Fish and Wildlife Service last year, but the recommendation has yet to be formalized, Hatfield said. The public has 60 days to comment on the proposed listing for the rusty patched bumble bee, and then the agency will make a final ruling.